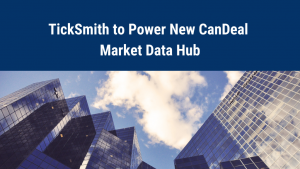 TickSmith’s Data Lake platform, TickVault, provides the missing link to centralize data from external and internal data sources. Based on big data technology and built as a modular and scalable framework, TickVault can be installed on premise and on cloud. The open nature of TickVault makes it easier than ever for clients and their partners to build and configure solutions for various use cases. 1. Completely modular : The TickVault platform is divided into stand-alone modules, it gives you and your firm the ability to pick and choose what you deem is necessary and integrate those parts into your existing infrastructure. We know that you might be looking for a missing piece to your puzzle and to make your life easier, we have modules that range from advanced analytics to compliance. 2. Abstract data engineering : TickVault normalizes structured and unstructured data into common formats and ensures that the data feeding into your systems is of the highest quality and usability. This greatly reduce the time needed to plan and perform analytics, compliance calculations, or machine learning. 3. Future Proof: Engineered with big data technology to be flexible, secure and hugely is easy to scalable, TickVault is at ease in your data center or on your favourite private cloud. In addition it was designed to easily interact with your analytical/AI/machine learning and BI tools. Fixnetix is a DXC Technology company providing managed services to the global financial community including Tier 1 Investment Banks, Hedge Funds, Proprietary Trading Firms and Exchanges worldwide. A leading Vendor of Record (VoR), Network Service Provider (NSP) and Independent Software Vendor (ISV) for most low-latency exchanges worldwide, DXC Fixnetix enhances operational efficiencies for the world’s electronic trading communities. 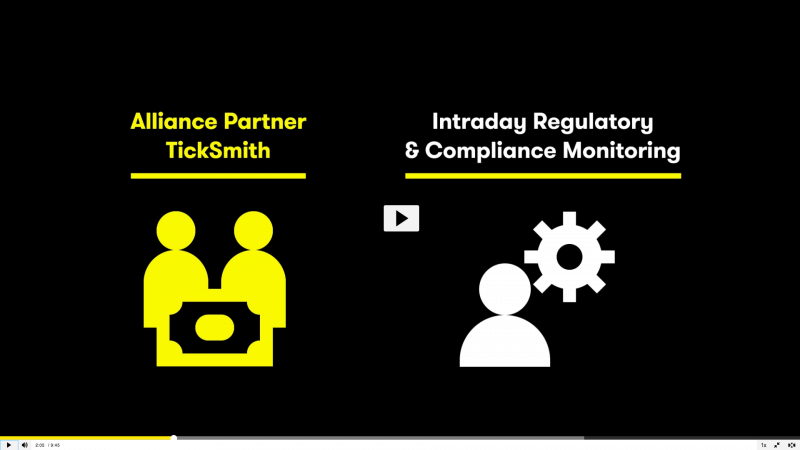 TickVault and DXC Fixnetix partnered together to showcase how they can tackle a multitude of compliance use cases. DXC Fixnetix leveraged trading firm’s front offices and proven technology integration, Data Scientists & AI expertise, coupled with our TickVault software to provide a unique value proposition to address near real time trading analytics, compliance, reporting and data mining requirements. DXC captures time stamping transactions from Fixnetix, provides a data repository and archiving service that includes analytics capabilities leveraging TickVault’s trading analytics and ingestion capabilities. The combined platforms capture, store, and provide query and Rest API access to timestamp data. Clients can respond to regulatory requests from an accredited source, have the ability to provide additional timestamp correlations, and advanced log captured data analytics on data within the repository. DXC has also interfaced its machine learning analytics to TickVault to enhance surveillance algorithms, trading strategies, and broker-dealer client cross selling opportunities. The multidimensional feature set identifies spoofing, layering, non-compliant trades, and fraudulent transactions.